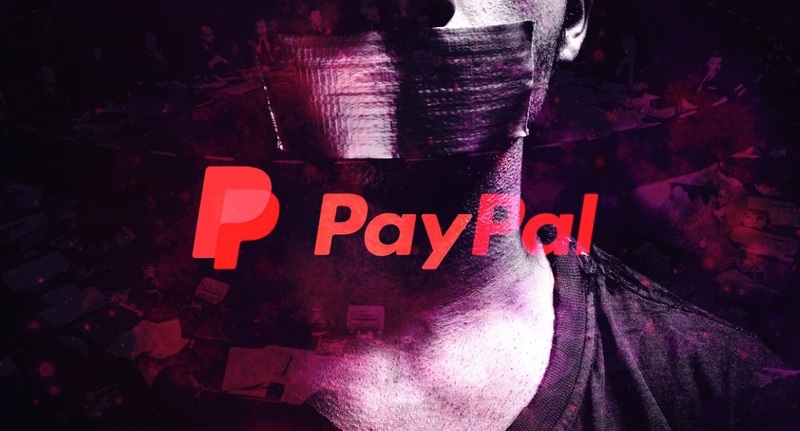 PayPal Purge 2018/2019 – A Possible Solution | Who the Heck is Frank Bauer anyway? Were you temporarily limited, sign an agreement or explain something? You can get it back if so. I did it twice by doing so. BUT if you see the “You can’t use PayPal anymore” image, you can not get it back. Even if you call them. This goes for everyone else. Calling them is not new knowledge. But if you are CLOSED for good and see that image, nothing works. Many years ago, PayPal had temporarily limited my accounts. They confused some of the language used on site describing how members could earn credits on multiple levels as us having a multi-level marketing compensation plan… which we never had at that site. After we adjusted our language to make it easier to understand for staff at PayPal that is not familiar with our niche, they lifted the temporary limitation. The way it seems like, PayPal will temporarily limit your account the first time they believe you broke their account and permanently limit it if it happened before. As long as you didn’t actually break their terms, there is a good chance that, if you are able to communicate the misunderstanding to them, they will rectify their mistake. This time they permanently limited our accounts and then removed that as well once we again pointed out the misunderstanding on their side and offered out help to clarify the case. But what about the people who don’t sell anything? Or those who sell soap, or those who just deposited money to buy – just to have it limited before buying anything, or those who sell graphics in the Minecraft community, those on eBay, those who don’t do anything at all? BTW, there are sites who changed their language and entire sites to comply with PayPal and still got limited a year later. There are sites who stopped offering commissions to just comply with PayPal, and got limited anyway. It’s not just some misunderstanding – that can be fixed. This is the worst I have ever seen it. I suggest you take a look at Twitter. Almost everyone is getting ignored, you can just call them and have them take another look – they don’t. As I said, I believe this PayPal purge is either due to a buggy AI/software or simply human error. If a persons account got limited that did never sell anything that was against PayPal AUP, they should let PayPal know about their misunderstanding. If they sold nothing at all, not even as an affiliate where they got paid for selling (referring) a product… they can’t have broken PayPal terms of what you are allowed to sell and what not. Same for those that only sold soap with no illegal ingredients, graphics in the Minecraft community, their garage goods on eBay as well as those that haven’t even started to use their PayPal account at all. They all didn’t break PayPal’s terms so in fact… their accounts being limited was a misunderstanding. Will everybody be able to communicate that to PayPal and will PayPal always be able to comprehend spoken words? Sadly, not. But if your account was limited simply for a misunderstanding a buggy AI/software or human error of PayPal’s staff… keep calling them to get this misunderstanding resolved, if you want your PayPal account and funds back. You got 180 days until they will return your funds… call them at least 180 days long once per week. That’s just 26 calls and always be nice to them on the phone and keep offering to help them resolve this misunderstanding. In the end, nobody else can make the choice for yourself, besides yourself. And yes, a different flawed PayPal staff member might slip over another word you used on your site, adjust and then follow up with them. I learned today that PayPal staff once didn’t like the words “downline builder”. Remove or change them… then follow up with PayPal. Or move on… it is your choice.